Our Founder Billy K. Wages Sr.
Billy K. Wages Sr., the founder of Wages & Sons Funeral Homes and Crematories, was a giant in the funeral industry. Considered one of the industry’s most respected members he was a mentor to many young people entering the funeral profession. Billy Wages began working part-time in a funeral home when he was only sixteen. Some fifty years later he would be chosen to serve in the prestigious position as president of the International Order of the Golden Rule, an international association of independent funeral directors. 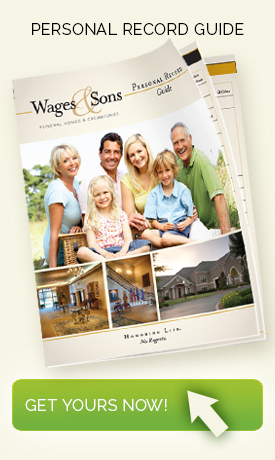 Mr. Wages was a community and funeral industry leader. He was elected Coroner of Gwinnett County 1968-1984. 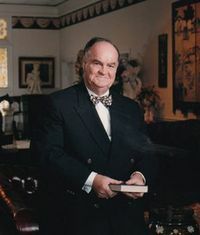 In 1992 he was chosen as President of the Academy of Graduate Embalmers of Georgia. 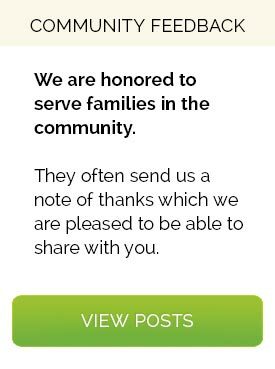 While serving in these leadership roles, our founder strived to be readily available to the families that he served through the funeral home. He understood their loss and wanted to be with them in their time of grief. Wages and Sons Funeral Homes and Crematories was born when in 1970 Mr. Wages purchased the funeral home on Main Street in Stone Mountain from the Couch and Mundy families after working in that facility for several years. In July of 1999 the beautiful Gwinnett Chapel location of Wages and Sons was completed. The two facilities are decorated with one of the finest collections of antique furniture and rare art in the area. Billy and his wife, Melba, enjoyed traveling, and in their extensive travels were able to acquire many of the unique pieces that warmly welcome the families we serve. It was the desire of Billy and Melba, who owned an antique store for several years, that these surroundings would enable those who come through the doors of Wages and Sons to feel a part of our family.